With the Purple Hatter’s Ball just a few short weeks away, it seems like a fine time to reflect upon of the reason behind the festival…honoring the late Rachel Morningstar Hoffman. Rachel was a regular attendee at events held at the Spirit Of The Suwannee Music Park, and a bright light on the festival scene. Sadly, an arrest led her into being strong-armed into a role as a confidential informant, ultimately resulting in her tragic murder at the hands of drug dealers. The tragedy was reported in newspapers and magazines around the country, and even resulted in a piece on 20/20. Thanks to the tireless work of her parents, a new law was passed in the state of Florida that cleaned up the ways police could represent themselves and the situation to confidential informants. Now, thanks to the efforts of her mother Margie Weiss and promoter Paul Levine, the foundation in her name has been granted full non-profit status, and work is underway to continue policy reforms on a national level. 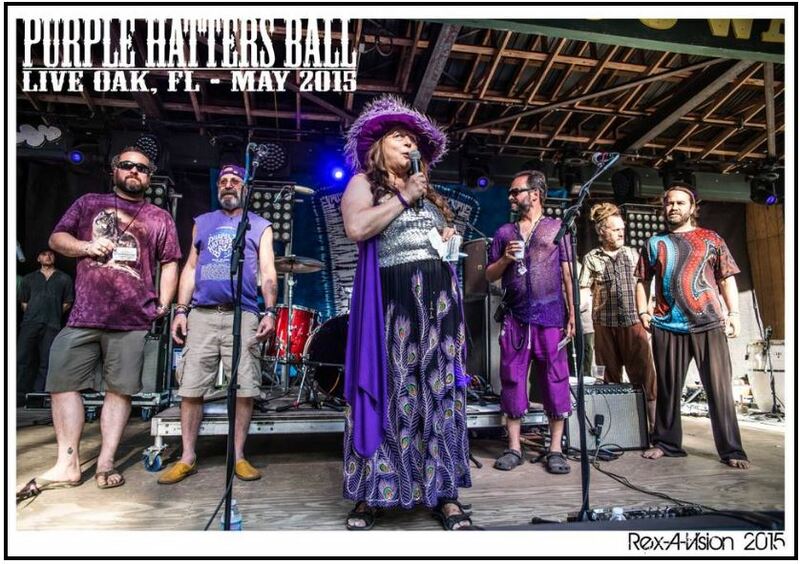 With national acts like The Floozies, Papadosio and The Polish Ambassador playing alongside some of the bands from the region that she loved so much, like Dubconscious and Catfish Alliance, the Purple Hatter’s Ball looks to be a wonderful way to celebrate the life and the positive and lasting effects Rachel’s loss has had on the world. Our own Rex Thomson caught up with “Mother Margie,” who shared the tales of her loss, seeing her daughter’s spirit manifest in a myriad of ways, and her work to make sure something this senseless never happens to another parent again. Live For Live Music: Do you have anything you’d like to say before we get into the interview proper? L4LM: Can you remember the first time your daughter visited the Spirit Of The Suwannee Music Park? MMW: The first time she was seven, and we were visiting White Springs down the way a little bit. There was singing and there was art and she basically grew up around it. I have a beautiful picture of her in a beautiful tie-dye picking wild flowers off the side of the road. When she returned she came back with three of her friends, one of whom I still keep in touch with regularly. After that, because I was such a free spirit and she was growing up apart from me a bit, I was surprised to learn from her friends that she was such a festival girl. All the photos they showed me were always of them all hanging on each other, hugging and smiling. They were always smiling, but Rachel’s smile was always the biggest. L4LM: Was finding out she was such a music fan a surprise to you? MMW: She was always passionate about everything. She played flute for five years, and piano for five years or so as well. I still have her flute, and her father has the piano. Her last big passion before she died was cooking…she loved cooking for all her friends. L4LM: It seems like Rachel had a lot of friends. MMW: Everybody loved her. At her funeral there were 850 people there, and at least a hundred of them came from Tallahassee where she had been living. She always made friends very easily. She made new friends and kept the old. There was so much love for her, for the music and the Suwannee…a lot of love for just this whole northern Florida area. L4LM: No parent should ever have to bury their child. It’s hard to imagine what you went through. MMW: I was in shock for two years. She was murdered. It was…so insane…so bizarre….that something like that could happen. Just…it was too much. Too much. L4LM: This is obviously difficult to talk about. MMW: It never seems to get easier. Morningstar meant shining light on a new day, and that sums her up perfectly. What really cemented the meaning and the purpose of how her life ended came to me when a friend and I walked out of the office where I was working, and there was the most complete and perfect rainbow there’s ever been. There’s been a spiritual component to her loss… a lingering residue of her touches our lives, her father’s and mine. Sometimes it seems like all we have to do is show up somewhere and good things start to happen. That’s Rachel, looking after us, making this world better. MMW: It’s been seven years now, and her spirit is guiding me on my path. There’s a lot of studying I need to do, things to learn. There’s assistance I can offer people, and assistance I need to reach out for. One thing I know in my heart, that Rachel’s life showed so clearly, is that we all need each other. In the end…I realized that I need to dedicate myself to the goal of never letting this happen to another young person. L4LM: It seems like you’ve followed through on that vow. MMW: The Rachel Law strengthens the national laws. Ideally it was to create CI (Confidential Informant) reform. There’s so much corruption going on within law enforcement. I believe law enforcement is important and it protects people, but we need to protect our children…ourselves too. When I grew up, it seems like there was more integrity among them, but that was probably just my perception. During the civil suit trial, the DEA did not even testify. It was like to them…Rachel didn’t even exist. Yet I was told the thirteen-thousand dollars that was found in her purse with the wiring from her police handler was from the DEA…as was the helicopter on the scene. And yet they all lost her…and so did I. I did not even know how she died until six weeks later… when I got her death certificate. I was at my mother’s house when I read it. It was… unnerving. She died of five gunshot wounds. I still did not know where or how it happened. I didn’t learn how it happened until the murder trial, a year and a half later. But before that trial we got the first, watered down version of the Rachel Law for the state of Florida for how to fairly deal with confidential informants. A lady came to me, Sarah Stillman, a journalist and an associate professor in foreign correspondence. She had written this amazing article called “Throwaways” that ran in the New Yorker and my daughter was in it. L4LM: Was this the start of your crusade to enact legal reform for the confidential informant laws and regulations? MMW: Yes. In the article she wrote about how police use these kids. It was called “Throwaways” for a reason, because that’s exactly how the police has treated these children they’ve used. That’s sadly how it happens. Scared kids get talked into assisting the police department or some law enforcement agency for some smaller crime, and then gets sent into a much larger, much more dangerous situation. Initially my daughter was arrested for having less than an ounce of pot…and she received a death sentence. They didn’t know the background of the person who shot her…who was an informant. They didn’t do their research, and when they lost her during the surveillance, she lost her life. Initially, they even tried to blame the whole tragic situation on her. There was no training. Being an informant is like being a non-entity…a throw away. You have no training, no understanding of the situations you’re being put into and no real business being there. You’re coerced through fear of some sort of inflated sentence that the police tell you you’re facing. They tell the informant they know what sort of sentence they’ll be facing, but they’re not the courts, they’re not the judge and they damn sure aren’t the jury. So many times the consequences they’re threatening these kids with will never come to fruition. They’re so much better off just saying no. L4LM: Do you feel like becoming an advocate for reform is something you have to do? MMW: Totally. As her mother, I’m her spokesperson, her advocate and I am just trying to make her death have some meaning. I get goose bumps when I talk about her like this. When I’m in the Spirit Of The Suwannee Music Park for events like the Purple Hatters Ball…it’s like she’s hovering right over my shoulder. Everybody, all throughout the festival tells me they feel her all around them. There’s a different vibe to the park during the Purple Hatters Ball. People look out for each other a little more, they hug each other a little longer…it’s really a beautiful thing to see Rachel’s spirit infuse these people. The kids running around the Purple Hatters Ball have such a glow to them…it’s beautiful to see. L4LM: What do think of the argument that she committed a crime, and this was all her own fault. MMW: First of all…people who use drugs when they’re young…it’s a phase. They’re exploring their boundaries, and it’s a phase most of them grow out of. Secondly…the drug laws in this country are absurdly over the top and we’re now seeing them being changed around the country. But in the end…learning life lessons like these should not end in death. So that’s where my cause began. It’s about safety. I want to make this society and world of ours a safer place. I truly believe the Rachel’s Law, as it gets strengthened and solidified across the country. I’m hoping this will eventually help, along with all the rest of the sad stories of police brutality in the news, lift the lid off the corruption in the police departments across the country. And don’t let anyone tell you they can’t afford to pay for these reforms. If agencies like the DEA and the CIA can hide money for the evil that they do, I’m sure we can afford it. The powers-that-be need to look at where their priorities are, and where they should be. 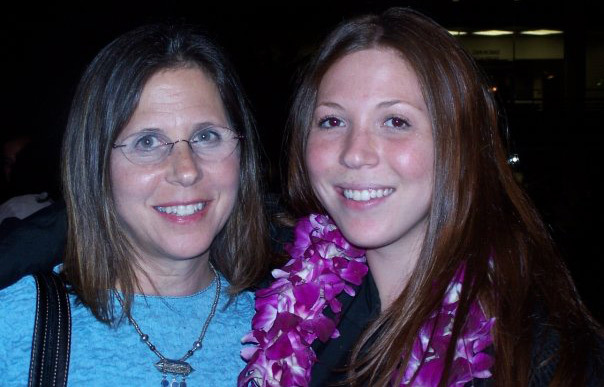 In the mean time, I get through Mother’s Day each year with my memories, my crusade and the kind messages from all of Rachel’s friends and the love she’s inspired in the world. Watching her friends grow up and make something of their lives has been so wonderful… and I just wish Rachel had the chance to do the same. Every kid I’ve known through her and met since they started honoring her memory in the park by naming tents, stages and now a festival in her honor are better people now…and as a mother I’m proud to think my daughter is, in some small way, a part of that. L4LM: It’s a wonderful thing you’ve done, taking this tragedy and using it to try and make the world a better place. MMW: There’s three things I’ve learned from all of this that stand out. One, love is like a buffing cloth, removing the tarnish from one’s soul and helping them to shine. You love your work, you love your family, the festivals and the memory. If you’re not shining up the people you love, and basking in their love then you need to look at your life and see if there are any changes you can make. The second is how we’re all connected. It all comes back to that rainbow I mentioned earlier. The rabbi who got her body to us so quickly…he saw that same rainbow. The OB-GYN who delivered Rachel…he and his wife saw that rainbow. Her two best friends who were standing behind me at Rachel’s funeral saw it…one of them even had a picture of it on her cell phone. When I was at the bereavement center, the counselor had it on her phone as well. It’s those moments that let me know we’re all in this together, and that even though Rachel is gone from this world, she still unites us from beyond. It gives me such goose bumps talking about this right now. Finally…it’s to trust god and the universe to help make things happen. It’s like the butterflies we release every year at the Purple Hatter’s Ball. Her friends are always saying they see butterflies when they’re searching for the right answers. The Rachel Morningstar Foundation is finally a full non-profit. We’re looking to set up a national conference to help others join the fight, and as I have been working and seeking answers I keep getting these signs and people keep stepping up to help. It’s magical, really. I see this love as a snowball…rolling down a hill and just getting bigger and bigger. L4LM: Well…thank you for taking the time to speak to us, thank you for all you’re doing for the community and thank you for the gift you gave us all in the form of your daughter. Her life may have ended soon, but you have done a wonderful job helping her memory live on. MMW: Thank you. The echoes of my love for Rachel are never going to stop…and hopefully they’ll reach others and lift them as they have me. Article written by Live for Live Music. Have Fun & Support Us! 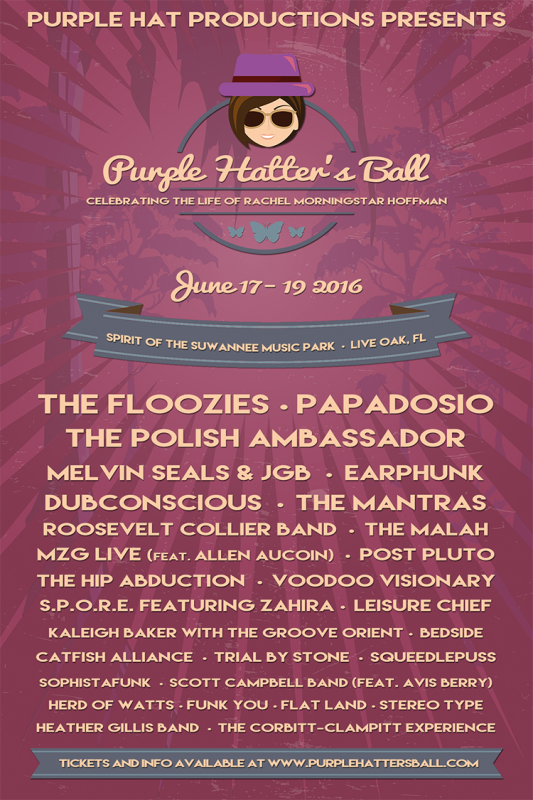 Mark your calendars for the 2018 Purple Hatter's Ball taking place at the famed Spirit of the Suwannee Music Park in Live Oak, Florida on Friday, June 1 and Saturday, June 2. The two-day music festival benefits The Rachael Morningstar Foundation. Watch the 20/20 segment titled "Campus Confidential".Watch for a brief interview with Rachel Morningstar Foundation's president, Margie (Hoffman) Weiss during the second segment. Aired on January 23, 2015.